Walter Moore, Sr. obituary. Carnes Funeral Home. Jun 17, 2012 The Carnes Funeral Home Staff offers our sincerest condolences to the entire Moore family. It was our honor to serve your family. 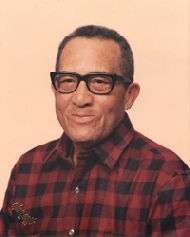 Walter Moore, Sr., a longtime resident of Dickinson, Texas, passed away on Saturday, March 26, 2011 at Clear Lake Regional Medical Center in Webster, Texas after a brief illness. He was born August 5, 1927 to Shep and Pearlee Moore in Brenham, Texas. He worked in the construction labor gang for Monsanto in the early years and later as a chef. He met and married his second wife and to this union a son, Barry, was born. Walter and his wife, Mary, have lived for many years in the home of their granddaughter, Victoria Jacquet while enjoying their family and friends. Walter is preceded in death by his parents, six brothers and one sister. Left to share his memories are, his wife, Mary; his children, Teresa (Gary) Dixon, Harriett (Earnest) James, Bobbie Moore, Robbie Moore, Walter Jr. (Rita) Moore, Ronnie Moore, Johnnie B. George, and Barry Moore, Sr. William Jacquet, Linda Jones, and Gail Jacquet; 24 grandchildren, 30 great grandchildren and a host of other relatives and friends. A Public Visitation is scheduled for Friday, April 1, 2011 beginning at 5:00 PM at Carnes Funeral Home Chapel, 3100 Gulf Freeway Texas City, TX 77591. The Life Celebration Service will be held at 10:00 AM Saturday, April 2, 2011 at Greater New Hope Baptist Church, HWY 3 Dickinson, TX 77539. Rev William King will serve as the Officiating Pastor. Burial will immediately follow at Forest Park East Cemetery Webster, TX. The final services have been arranged by Dorthea Jones, Funeral Director, and the competent, caring staff of Carnes Funeral Home 3100 Gulf Freeway Texas City, TX.